The “Psychological Impact of Racism” will be the subject of Dr. Alisha Moreland-Capuia’s lecture Wednesday, March 14, in the Erb Memorial Union’s Redwood Auditorium. The lecture, which begins at noon, is part of this year’s African-American Lecture and Workshop Series. It is free and open to the public. Moreland-Capuia was the first African-American native Oregonian to become a licensed and board-certified psychiatrist. 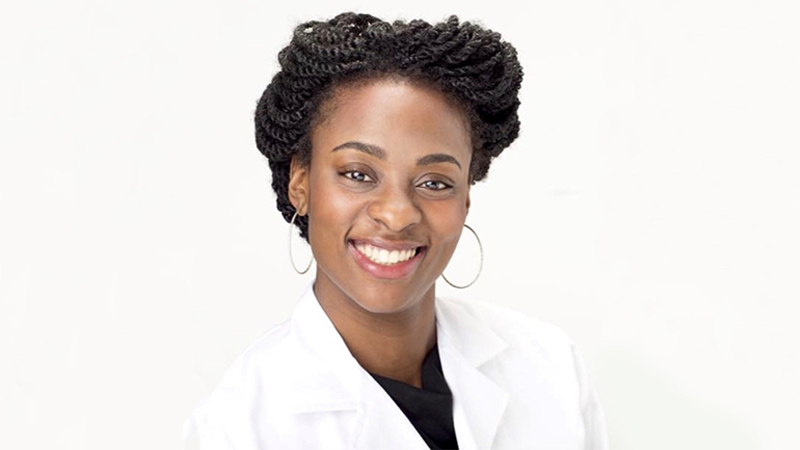 In addition to being a physician, she is a scholar, educator and speaker. She also serves as executive director of the Oregon Health & Science University’s Avel Gordly Center for Healing, a multicultural mental health center responsive to the needs of the diverse communities of Oregon. Moreland-Capuia was recently quoted in multiple news sources in response to the findings of the 2018 report “Youth and Measure 11 in Oregon.” The report found Oregon has the nation’s second-highest rate of sending youths to adult court. “Young people lack the skills to effectively navigate an adult criminal justice system that disrupts the development process at a critical stage,” Moreland-Capuia said in response to the report. “Oregon should join the many other states in recognizing the role of brain development in criminal justice reform." Moreland-Capuia holds degrees from Stanford University, George Washington University and Oregon Health and Science University, where she held a fellowship in addiction medicine. During her fellowship, she developed a national violence prevention program, Healing Hurt People Portland. The Portland program is a hospital-based, community-focused violence prevention program serving males of color between the ages of 10 and 25 who have suffered an open-wound trauma. The program takes a public health approach to addressing violence. Moreland-Capuia has and continues to serve on numbers of boards, including I Have a Dream Oregon; Oregon Health Policy Board Healthcare Workforce Subcommittee; Community Oversight Advisory Board, which oversees the Department of Justice’s mandated reforms for the Portland Police Bureau; and the Governor’s Council on Alcohol and Drug Abuse. She was a Portland Business Journal 2016 “40 Under 40” honoree. Continuing education credits for licensed mental health professionals, sponsored by the University Counseling Center, can be granted for attending the lecture. In addition to her public lecture, Moreland-Capuia will meet with campus leaders, faculty and staff, including with those from the Counseling and Health Center, student groups and the Black Student Task Force. An afternoon meet-and-greet with students at 4:15 p.m. at the center will be held at the Multicultural Center in the Erb Memorial Union. The African-American Workshop and Lecture Series was sparked by demands raised by the UO’s Black Student Task Force and is sponsored by the Office of the President. RSVPs for lunch are strongly encouraged and appreciated. Further information can be found on the Division of Equity and Inclusion website.